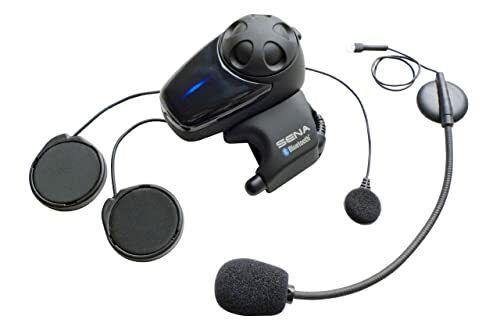 If you have been looking for a motorcycle Bluetooth headset to keep you entertained during those long rides, you may want to take a look at the new Sena SMH 10D-11 Motorcycle Bluetooth Headset/Intercom w/ Universal Microphone Kit. ​This Bluetooth headset has been engineered to keep you and your riding buddies connected over almost a kilometer so you can share music and even converse with one another. You can also use it for hands-free calling when it is paired with your Bluetooth-enabled mobile phone. With the Universal Microphone Kit, the SMH10 with its patented Jog Dial lets you control all the functions of the nifty device with minimum effort, so you can ride safer and still enjoy all the features of a great Bluetooth headset. ​Easy Storage – This is great when you need to stash the unit quickly if you don’t want it on your helmet. It literally takes only half a second to unsnap. Of course, you need to take the helmet off your head to do that. Simple Phone Pairing – Works great on iPhones. Pairing is simple and fast so you shouldn’t have any issue. Once paired and the Bluetooth is enabled on your phone, you can just turn on the unit, wait for the voice confirmation that it has connected, and you can get on with your ride. Minimum/Maximum Volume Indicator – It can be frustrating not to know that you have reached the top of the volume adjustment spectrum so the Sena fixed that by integrating an indicator tone. Flexible Mic – You have the option of using a bud mic or a boom mic. 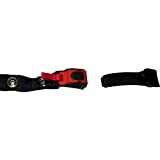 Both are included in the package and each one may suit a different purpose. Obviously, the bud mic is perfect if you require more compactness. For better sound, however, the boom mic might be the one to go for. 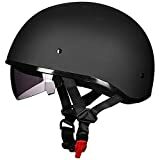 You just need to attach it inside your helmet with the Velcro strip. Either way, you get great audio. Long Battery Life – You wouldn’t want your battery juice to go empty during those long rides, and the Sena has got you covered. A 50 mile trip is not enough to drain it so you can enjoy your music longer between charging. 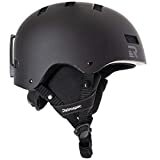 Odd Speaker Placement – There seems to be limited Velcro options when attaching the speakers inside the helmet. You can easily set the headset too high but it might not fit well enough to be comfortable. You might not also get the optimum sound quality if it’s not properly aligned with your ears. Soft Volume When Using Bluetooth – Intercom audio volume is great, but the unit can be a bit too mellow when you use it as a Bluetooth headset. For some reason, podcasts, music, etc. turns out soft when run through Bluetooth. It might be just a software issue that can be easily fixed with a firmware upgrade. Mic Quality – This is especially true with the included bud mic. Although unobtrusive when set up, the other party may not hear you well during calls. This problem with the audio quality may also affect voice command features like Siri on the iPhone or Google Now on an Andro﻿﻿id phone because the system may not be able to distinguish the words very well. Updating the Firmware – Firmware updates may be able to fix a lot of the issues the Sena has and it’s expected to be simple since not everyone who buys the unit is a techie. Having to register the unit before you can download the firmware defeats that. Untimely Battery Warning – The Sena has grea﻿t ﻿﻿battery﻿ life and there’s no doubt about that. You can enjoy your music for a long time and there shouldn’t be any issues with long rides. But when it’s time to shut down when the battery is low, you only get a single voice notification, and then the unit abruptly turns off. No warning for low battery. ​Power packed with features and patented technology, the Sena SMH 10D-11 Motorcycle Bluetooth Headset/Intercom w/ Universal Microphone Kit may be more than enough for your requirements. Although there are some snags, those cons are not enough to put this great product down. 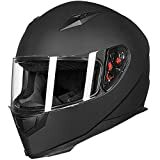 You may need to make some minor adjustments with regards to Velcro placement and the mic location, but once you have determined the perfect spots, it’s a solid motorcycle Bluetooth headset that should keep you company during your daily rides.